Wow ! Cake decorating has truly become my greatest passion. 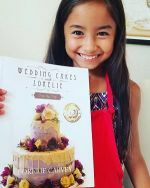 It all started with a desire to bake and decorate a cake for my daughter one thanksgiving. She is truly the love of my life and was coming home from college for the holiday. The first cake was tasty but the decorations were the laugh for the day. The fondant had a bubble, and the cake looked a little crooked but it was fun.lol. 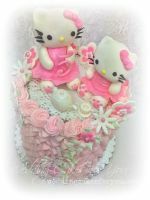 For my birthday my baby girl gifted me with a two night class in gumpaste flower design..She must have seen something in her mom..I was addicted from then on.I have not taken more classes since but have had a lot of on line time with Lorelie's cake decorating videos and now here we are. 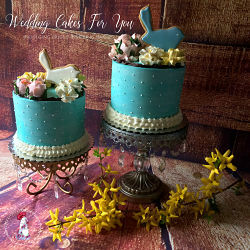 Each chance I get I go on the wedding-cakes-for-you.com site and learn as much as I can. 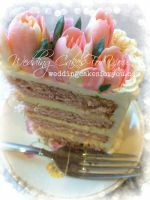 I truly enjoy seeing the other cake decorating pictures that my fellow cake decorators create and the wedding cake photos with tips that they provide. This is my first wedding cake. I had a blast making it. It just does not seem like work and that is why I love it. Don't get me wrong-it is work but the passion and enjoyment that I feel out weighs that. The cake consisted of 3 tiers. The bottom tier was almond sour cream with vanilla buttercream filling, the third tier was French Vanilla cake with a pistachio buttercream filling and the top tier was lemon pound with lemon filling. I used pudding to flavor the buttercream and It turned out fantastic! 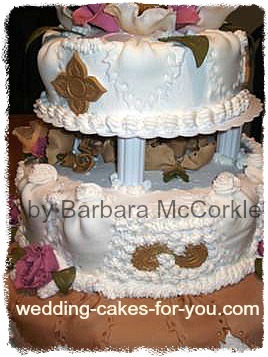 The accents were made from gumpaste and fondant with the exception of the dog wood flower on the very top. 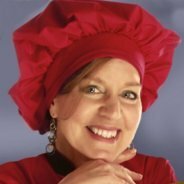 I was nervous to say the least about this task but was confident with what I learned from the tutorials. the prayers that I sent up before, during and after and the loving support from my friends and family. All of this contributed to what you see in the photo. The challenge was the delivery..can we say every pot hole. The cake made it to the venue..it shifted a little..but I was able to correct it and the day was a success. Thank you for divine intervention. Wow Thank you Barbara. 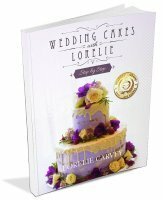 Wonderful passionate story and first time wedding cake. Good luck in the cake decorating contest. lot of techniques going on there. i think wedding cakes are my favorite and i wish someone would hire me to do one. you did a great job for this being your first. keep it up! The cake was beautiful and let me not forget delicious. Job well done. Keep up the good work. This a beautiful cake and would order it in a heart beat, the flavors sound so yummy. Great work Barbara. Keep following your dream and I know you will be granted the desires of your heart. Barbara you once again always manages to outdo yourself. This is one of the most unique wedding cakes I have ever seen. Keep up the awesome work that God has allowed your hands to create.